There are lots of benefits of having a minimalist capsule wardrobe. Whether you stop at 33 items, like I do with The Project 333, or you go to something smaller with the 10 item wardrobe, it’s up to you. But one thing is certain: you probably won’t go back once you’ve tried it! More money. I don’t shop for a hobby any more. Instead, I shop when I need to, and I know what I need because I don’t have clutter in my cupboards that prevents me figuring out what I actually need. A better wardrobe overall. I’m no fashion guru. At all. I don’t get fashion. But these days my wardrobe is manageable, and everything I have in my wardrobe fits me and looks good. I dress better, and I’m not afraid to spend money on good quality items because I know I’ll wear them when I buy them. Better wear from my clothing. Because I have fewer clothes, I get better value from the items I have, as I wear each item more often. Fewer mistakes. I still make mistakes, but there are less of them, as I have a better sense of what works for me now. 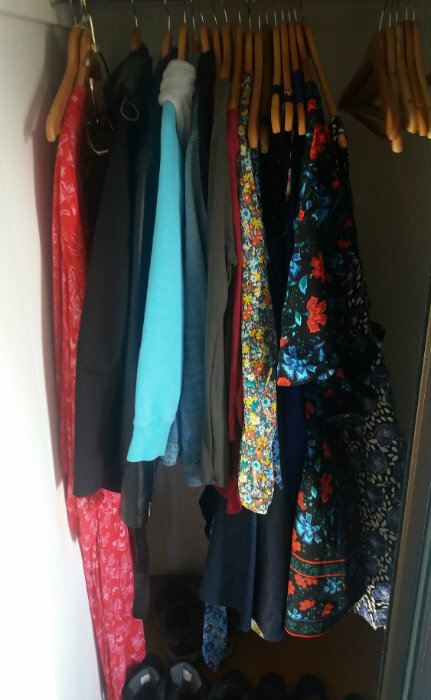 De-cluttering my wardrobe really helped me get a better sense of my own style. Knowing what to wear when. I stopped living in sports clothes and lounge-wear, because having fewer items enabled me to separate out separate sportswear and home-wear capsules. So now I know that Ugg boots are for home, and yoga pants are for the gym. Yes, I was that clueless about fashion! Even if you’re a fashion diva, having a minimalist wardrobe will help you organise your clothing better.